Happy Friday everybody! Let’s kick off the weekend right with ABCey Events’ five favorite apps of the week, apps that help our lives healthier, happier, and more organized (which comes in handy in the bustling world of events)! There’s no time like the present for you to get your finances in order! 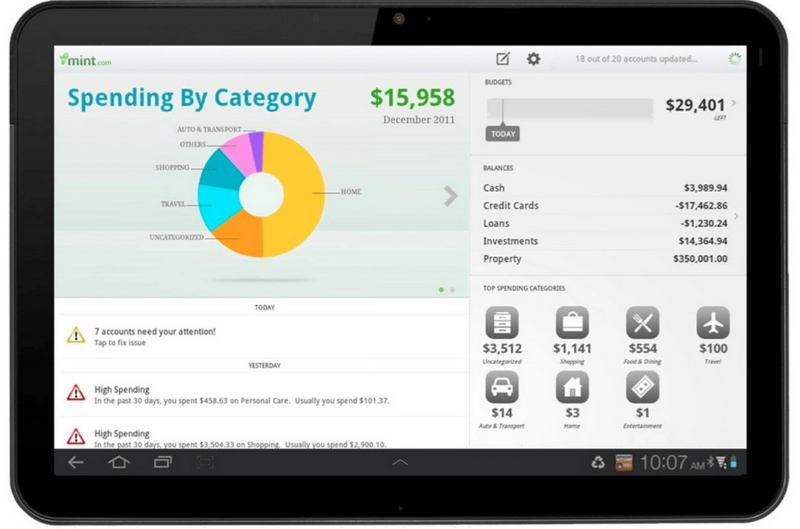 Our favorite budgeting app of the moment is the Mint (free on iOS, Android, Amazon, and Windows). Mint helps its users stay organized by collecting all of their financial activity including savings, investments, and spending. You are able to input your financial goals and receive advice specifically tailored to your financial needs (did we mention all of this info comes in a beautiful pie chart?)! Plus a little budgeting can come a long way when getting ready for the holiday season. It’s apps like Mint that ABCey Events can’t wait to try out for our next event! With the holidays coming up, particularly holiday food, what better way to stay in shape than keeping track of your diet. Our favorite healthy-living app of the week is Fooducate! The way Fooducate (free on iOS and Android) works is that its users can easily scan barcodes and get loads of information on just what exactly they are eating, highlighting things many manufacturers overlook like transfat, excessive sugar, and MSG. 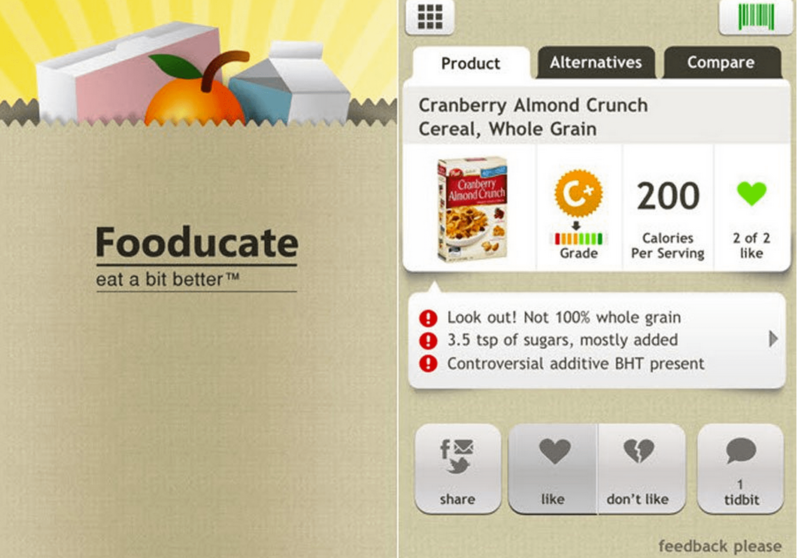 Fooducate not only helps users keep track of their diet but also educates them in the process! When planning an event, particularly an outdoor one, weather can be a tricky element to plan around. With Yahoo! 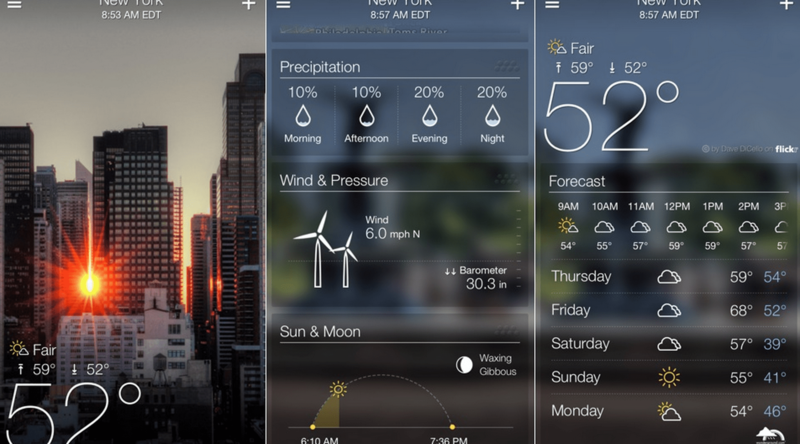 Weather (free on iOS and Andriod), users are able to not only check the weather report (including wind pressure and precipitation, etc), but also are able to do so while enjoying the beautiful backdrop of the corresponding city. And who doesn’t love an app that’s both informative as well as visually striking? 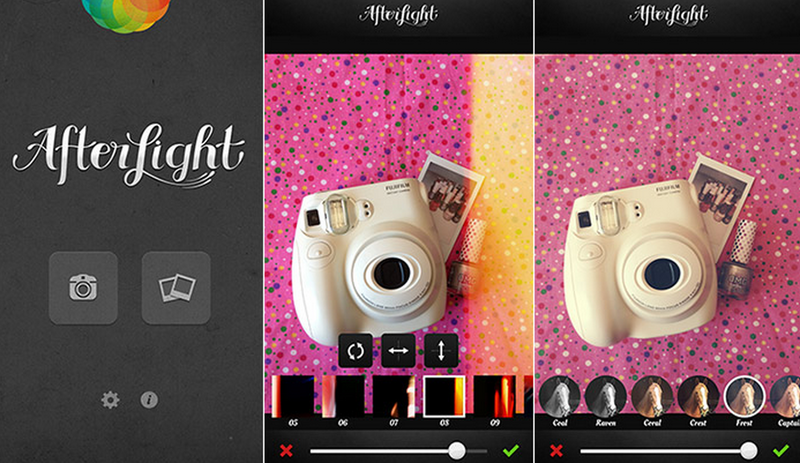 For all the Instagram fans out there, Afterlight takes mobile photography one step further by allowing its users to control an image’s brightness, contrast, and saturation, along with a wide array of fun filters and frames. Afterlight ($0.99 on iOS and Android) also includes one of the best crop tools as well as other basic photo editing features. We definitely can’t wait to try this app out when capturing our upcoming events! Let’s face it, San Francisco is an expensive city, especially when it comes to finding a place to live. Lovely (free on iOS) provides renters access to great apartment deals while helping users find a place quick and easy with its real-time listings. 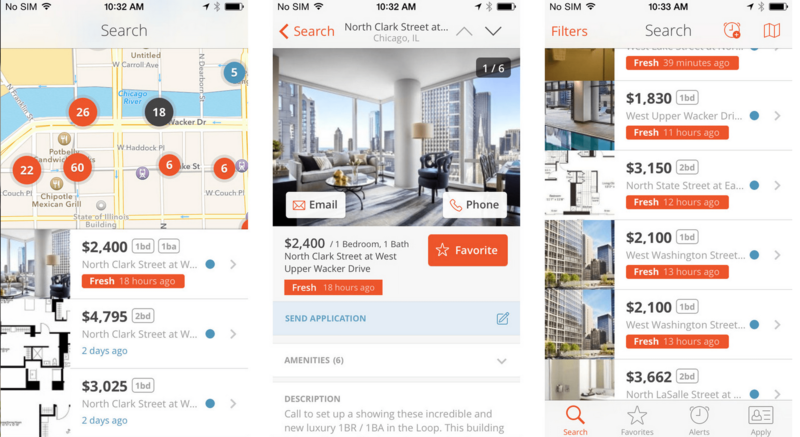 Lovely keeps users in the know by providing notifications when new listings are available. Trying to move out of your apartment or looking to relocate to a new city? Lovely is your app! What are your favorite apps of the moment? Share with us your thoughts in the comments below or on Facebook and Twitter!